Point Roberts WA , Vancouver BC – April 18, 2019 – Investorideas.com (www.investorideas.com), a global investor news source covering Artificial Intelligence (AI) brings you today’s edition of The AI Eye- watching stock news, deal tracker and advancements in artificial intelligence. "IBM's secure hybrid cloud offering, as well as the security services around Web platforms, are designed to be real innovation assets for our customers in the context of their digital transformation, especially in the banking world subject to the ECB's regulatory requirements. We are very proud to continue to support Boursorama in its growth and conquest of new markets." The growing need for healthcare workforce co-ordination with patients is one of the prominent factors driving the global artificial intelligence (AI) in healthcare market. Analyzing and compiling of patient’s medical data, such as personal information, latest medical symptoms, and medical history is the first step in a patient’s treatment. Data management through artificial intelligence (AI) technology is predicted to be in high demand globally in the future. The integration of AI in healthcare helps to generate medical data that is gathered, stored, re-formatted, and effectively traced for faster assistance and uninterrupted access. Furthermore, hospitals globally are adopting AI solutions to avoid repetitive tasks, such as X-Rays, CT scans, analyzing tests, and data entry. The AI technology helps doctors to analyze time-consuming data analysis, which is increasing the AI applications in the healthcare sector. This, in turn, is estimated to fuel the artificial intelligence (AI) in healthcare market in the upcoming years. However, the integration of AI technology in the healthcare domain comes with a huge threat to a doctor's job. Medical practitioners’ reluctance behavior toward AI technology is hampering this market. Delta, Kelowna, BC –April 18, 2019 (Investorideas.com Newswire) www.Investorideas.com, a global news source covering leading sectors including marijuana and hemp stocks and its potcast site, www.potcasts.ca release today’s edition of Investorideas.com potcastsCM - cannabis news and stocks to watch plus insights from thought leaders and experts. Good afternoon and welcome to another Investorideas.com “potcast” looking at cannabis news, stocks to watch as well as insights from experts and industry leaders. Today we are looking at announcements from EMPOWER CLINICS INC. (CSE: CBDT), Cannvas MedTech Inc. (CSE: MTEC) (OTCPK: CANVF), Aurora Cannabis Inc. (TSX: ACB) (NYSE: ACB), National Access Cannabis Corp. (TSXV: META),Pure Global Cannabis Inc. (TSX.V: PURE) (OTC: PRCNF) and Canopy Growth Corporation (TSX: WEED) (NYSE: CGC). EMPOWER CLINICS INC. . (CSE: CBDT), a growth oriented, diversified health and wellness company, announced the signing of a pilot agreement with Cannvas MedTech Inc., (CSE: MTEC) (OTCPK: CANVF), a leading digital cannabis education and analytics company, to launch a comprehensive education, data collection and analysis program starting with the installation of a network of standalone on-site Cannvas Kiosks in the Empower network of medical clinics. "This is an opportunity to bring unbiased cannabis education to a large population of patients looking for therapies to alleviate a number of ailments while also learning more about what behaviours may drive the decision to look at cannabis as an alternative or complementary treatment," said Shawn Moniz, Chief Executive Officer, Cannvas MedTech. "We are thrilled to partner with Empower Clinics to couple cannabis education with data analysis and better serve their patients while growing the Cannvas brand across the United States." The partnership installs Cannvas as the exclusive provider of cannabis education to Empower Clinics and its 120,000 patients in the U.S. Cannvas plans to place its Cannvas Kiosks throughout Empower's network of clinics to provide accessible and unbiased cannabis education to its patients, integrating geo-targeting capabilities to ensure relevant contextual information across the country. Cannvas will also be a key data and analytics partner for Empower, providing meaningful insights on customer behaviours and industry trends and integrating mutually beneficial existing data partnerships. Aurora Cannabis Inc. . (TSX: ACB) (NYSE: ACB)confirmed today that, further to its press release dated April 5, 2019, the public appeal process related to the German cannabis production tender has been completed, and Aurora's contract with the German Federal Institute for Drugs and Medical Devices (Bundesinstitut für Arzneimittel und Medizinprodukte BfArM) has now been finalized. The approval will allow Aurora to begin construction of a new, state-of-the art, indoor cannabis production facility in Leuna, Germany in May 2019 and the Company anticipates completion within 12 months of ground breaking. Initial shipments of locally grown cannabis are expected to become available to German medical patients starting in October 2020, with the new facility producing a minimum of 4,000 kg over a four-year period, to be expanded over time as regulations permit. "We are thrilled with the positive outcome of the tender process, and excited to start construction on our latest production facility," said Neil Belot, Chief Global Business Development Officer. "We are very proud of the work done by our European team. In addition to providing German medical patients with a local supply of high-quality, medical grade cannabis, this new facility will also bring additional new jobs to the German labour market. It's a strong validation of our production and distribution standards to have been recognized as having the highest-rated overall concept out of 79 tender applications, and we look forward to continuing to increase availability of medical cannabis in this important market." National Access Cannabis Corp. . (TSXV: META), Canada's largest private cannabis retailer, today announced it has closed the previously announced acquisition of Saskatchewan-based New Leaf Emporium Inc. ("New Leaf Emporium") and will take full operation of the New Leaf Emporium retail cannabis store and offer online sales throughout Saskatchewan. "Today we're operating in three provinces," said Mark Goliger, CEO of NAC. "No other cannabis retailer has our provincial footprint. We're the national leader in cannabis retail, having opened 24 stores to date in the complex regulatory markets of Alberta, Manitoba, and Saskatchewan, however, the journey is just beginning for our Company and our industry. Our team is focused on building our national retail footprint to 40 stores by the end of calendar 2019, and to 110 stores by the end of calendar 2020. British Columbia is our next target market, followed by Ontario." NAC will take full operation of the New Leaf Emporium retail cannabis store, open since October 22, 2018, in central Moose Jaw at the corner of Main and Athabasca and offer online sales throughout Saskatchewan. The New Leaf Emporium store is one of only two stores serving Moose Jaw's population of 35,000. The Company currently has 24 cannabis retail locations open in total, distributed provincially as follows: 14 in Alberta, 9 in Manitoba and 1 in Saskatchewan. In addition to the 24 bricks and mortar stores, NAC is also allowed to sell via its e-commerce platform in the provinces of Manitoba and Saskatchewan, based on provincial regulations. Pure Global Cannabis Inc. (TSX.V: PURE) (OTC: PRCNF) , an integrated, growth-oriented life sciences and consumer products cannabis company, operating through its wholly-owned subsidiary PureSinse Inc., announced that it has entered into a binding Letter of Intent with Ottawa-based The Great Canadian Hemp Company, Ltd., pursuant to which the parties shall seek to enter into a share purchase agreement whereby Pure Global will acquire a 100% interest in GCHC. As consideration, Pure Global will pay GCHC shareholders $560,000 with $60,000 payable in cash and $500,000 payable through the issuance of common shares in the capital of Pure Global at a price equal to $0.20 per share to be held in escrow and released pursuant to a 24-month schedule. GCHC creates organic vegan hemp-based, all-natural skin and hair products, and promotes sustainability, organic beauty, and mindfulness. After the acquisition, GCHC will continue as a business unit of PureSinse. "The Great Canadian Hemp Company is a young, innovative, already-established company that offers an exciting opportunity for Pure Global to enter the health and beauty segment," said Ross Hendry, VP of Consumer Sales and Marketing. "Melissa and Edan are great brand ambassadors, and have established a line of turnkey products that will transfer successfully into CBD and full-medicated spectrum products. We will scale manufacturing of these amazing products and leverage our distribution capabilities. This line is especially geared for the European and Asian markets where there is currently an enormous demand for CBD health and beauty products." Canopy Growth Corporation (TSX: WEED) (NYSE: CGC) and Acreage Holdings, Inc. (CSE: ACGR.U) (OTC: ACRGF) announced that they have entered into a definitive arrangement agreement that grants Canopy Growth the right to acquire 100 percent of the shares of Acreage, with a requirement to do so at such time as cannabis production and sale becomes federally legal in the United States, subject to obtaining the requisite prior approval of the shareholders of each of Acreage and Canopy Growth, respectively, as well as the approval of the Supreme Court of British Columbia. Following the approval of Canopy Growth and Acreage shareholders as well as the Supreme Court of British Columbia, under the terms of the arrangement agreement, Acreage Holders will receive an immediate aggregate total payment of US$300 million or approximately US$2.55 per Acreage Subordinate Voting Share based on the currently outstanding Subordinate Voting Shares of Acreage and conversion of certain convertible ‎securities. In addition, upon the exercise of the Right, holders of subordinate voting shares of Acreage will receive 0.5818 of a common share of Canopy Growth for each Acreage Subordinate Voting Share held at the time of closing of the Transaction. Upon exercise of the Right, the total consideration payable pursuant to the Transaction is valued at approximately US$3.4 billion on a fully-diluted basis, represents a premium of 41.7% over the 30-day volume weighted average price of the Acreage Subordinate Voting Shares on the Canadian Securities Exchange ending April 16, 2019. The Companies will also execute a licensing agreement granting Acreage access to Canopy Growth's award-winning line-up of brands such as Tweed and Tokyo Smoke, along with other intellectual property. Once the Right is exercised, Acreage will become part of a leading global cannabis company with access to markets beyond the U.S. Until then, the two companies will continue to operate independently. "Today we announce a complex transaction with a simple objective. Our right to acquire Acreage secures our entrance strategy into the United States as soon as a federally-permissible pathway exists," said Bruce Linton, Chairman and co-CEO, Canopy Growth. "By combining Acreage's management team, licenses and assets with Canopy Growth's intellectual property and brands, there will be tremendous value creation for both companies' shareholders." 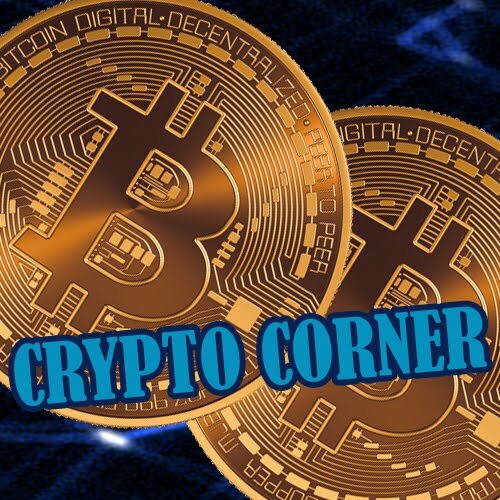 Point Roberts WA, Delta BC, April 18, 2019 - Investorideas.com, a leader in crypto and blockchain investing news, in partnership with Fit Pay, Inc.’s (subsidiary of NXT-ID (NASDAQ: NXTD) crypto payment tech, Flip and the Genesis Exchange and Wallet App bring you today’s edition of the Crypto Corner podcast and commentary on what’s driving the cryptocurrency market. Binance has also launched a charity fundraiser to support reconstruction of Notre Dame cathedral in Paris, which suffered considerable damage from a fire on April 15. At press time the charity has raised roughly $16,500 USD from 57 donations. Reuters reports that Japan’s Financial Services Agency (FSA), the country’s chief financial watchdog, will require more robust oversight of cold wallet security from crypto exchanges. This follows previous regulation from the FSA that prompted exchanges to move away from the less secure hot wallets, which are connected to the internet directly and henceforth more susceptible to hacking. The agency will assess which of the 19 registered exchanges in the country need security improvements and will order them accordingly. New York Stock Exchange owner Intercontinental Exchange (NYSE:ICE), might be seeking a crypto custody license from New York State to accelerate the launch of their delayed Bakkt crypto exchange, according to a report from Bloomberg. 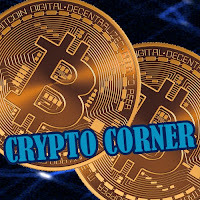 The platform was intended to see a launch date back in November of 2018, but concerns over the regulation of Bitcoin futures has caused delay. As crypto moves from the current “investment phase” into what we call the “utility phase,” a host of new use cases will present themselves. This could take the form of decentralized versions of traditional financial services like lending or micropayments or truly novel crypto applications that no one has even thought of yet. The ability to convert from one crypto to another will form the backbone of this new decentralized economy. Disclaimer/Disclosure: Investorideas.com is a digital publisher of third party sourced news, articles and equity research as well as creates original content, including video, interviews and articles. Original content created by investorideas is protected by copyright laws other than syndication rights. Our site does not make recommendations for purchases or sale of stocks, services or products. Nothing on our sites should be construed as an offer or solicitation to buy or sell products or securities. All investing involves risk and possible losses. This site is currently compensated for news publication and distribution, social media and marketing, content creation and more. Disclosure is posted for each compensated news release, content published /created if required but otherwise the news was not compensated for and was published for the sole interest of our readers and followers. Contact management and IR of each company directly regarding specific questions. In a recently published video, VSBLTY Groupe Technologies Corp. (CSE: VSBY) (5VS.F) Co-Founder and CEO Jay Hutton discusses how the company’s innovative AI technology is disrupting security. Headquartered in Philadelphia, VSBLTY (CSE:VSBY) (5VS.F) is the world leader in Proactive Digital Display™, which transforms retail and public spaces as well as place-based media networks with SaaS-based audience measurement and security software that uses artificial intelligence and machine learning. Disclaimer/Disclosure: Investorideas.com is a digital publisher of third party sourced news, articles and equity research as well as creates original content, including video, interviews and articles. Original content created by investorideas is protected by copyright laws other than syndication rights. Our site does not make recommendations for purchases or sale of stocks, services or products. Nothing on our sites should be construed as an offer or solicitation to buy or sell products or securities. All investing involves risk and possible losses. This site is currently compensated for news publication and distribution, social media and marketing, content creation and more. Disclosure is posted for each compensated news release, content published /created if required but otherwise the news was not compensated for and was published for the sole interest of our readers and followers. Disclosure: VSBY is a paid news, social media client on Investorideas. and Podcast, Play by Play sports and stock news column, Investor Ideas #Potcasts #Cannabis News and Stocks on the Move podcast and column and the Cleantech and Climate Change Podcast.